When a person mentions the word “qoo,” it might not mean anything in several parts of the world. However, in Japan, the term “qoo” can actually mean a lot of things. For almost everyone, the word “qoo” would instantly make them think of a juice drink. However, for the fashionistas and shopaholic, the term “qoo” may remind them of a certain vintage store in the metro. A word with many references, it may be high time to learn about the different “qoo’s” in Japan. One of the most common references to the term “qoo” is the famous juice drink from Japan. Pronounced as “kū,” the non-carbonated drink is produced by the Coca-Cola Company. Its origins can be traced back to the 28thof May in the year 1999 when Qoo was introduced in the region of Kyushu in Japan. A few months later, Qoo was introduced throughout the country on the 12th of November in 1999. At present, the famous juice drink is sold in most Asian countries in several flavors. After the introduction of Qoo to the public, it became so popular that its white grape flavor became available at drink fountains in Japan. To further grow its popularity, Coca-Cola made sure to market Qoo in several places including at McDonald’s. An example of this was in Germany wherein the product line of Qoo was available from January in 2003 to November in 2005. Some of may wonder how the company thought of the name “Qoo.” It was actually based on the reaction of the mascot upon getting a taste of the said drink. An artist by the name of Momoko Maruyama designed the mascot of Qoo. The same artist is well-known as the creator of Deko Boko Friends. Qoo also has its own song entitled “The Jingle.” The song is sung by Londell “Taz” Hicks. In the Chinese language, “Qoo” can be transliterated to “kùér.” Upon hearing this transliteration, many may depict images of a cool kid inside their minds. This is because “kù” can be transliterated to “cool” while “ér” can be translated to either “a child” or “a son.” The drink is quite popular even outside Japan. The juice drink is non-carbonated. Hence, people who dislike the fuzzy texture of soda may like Qoo. It offers several flavors, including Acerola Lemon, Blackcurrant, White Grape, Honey Lemon, Lemon, Mango, Mango Orange, Peach, Fuji Apple, Fruit Punch, Grape Lemon, Honey quince, Mandarin Orange, Mango Milk, Orange, and Peach Plum. At present, only flavors of Mango and White Grape have been seen to be available in Newcastle. One of the most popular flavors of Qoo is White Grape. While most juice drinks are too sweet to taste, this Qoo drink is said to be light. When drank cold, the drink offers a great fresh taste. According to the juice pack, this drink consists of juice sourced from real white grapes. It also contains calcium, vitamin B3, vitamin B6, and vitamin C. This variant is called the Minute Maid Qoo White Grape. Per 100 mL of Minute Maid Qoo White Grape, it consists of 46 kcal of energy, 11.2 grams of carbohydrate, 11.2 grams of sugar, 2.5 milligrams of vitamin C, 1.4 milligrams of vitamin B3, and 0.22 milligrams of vitamin B6. The drink contains no protein, fat, or sodium. Its ingredients consist of water, high fructose corn syrup, calcium lactate, flavorings, coloring, sucrose, white grape juice, apple grape juice, and citric acid. It also has permitted food additives of non-animal origins. Aside from the taste of the juice drink, another thing that makes Qoo popular is its mascot. The mascot is also called Qoo. It is a blue animal that looks like a cat. It is most famous for saying “Qoooooo” every time it drinks Qoo. The way it says its line is so cute that many people find the mascot so endearing. Another “qoo” that is famous in Japan, specifically in Tokyo, is a vintage store called Qoo Vintage. The shop is located at Shibuya, Tokyo. Many shopaholics who love vintage designer bags would definitely know this place. It is, after all, a must-visit for people who just love the brand Chanel. Upon entering the store, visitors are greeted with an elegant vintage space that gives off the luxurious vibe. While the shop is pretty small, its extravagance definitely makes up for it. The shop offers several vintage items from luxury brands. These include Chanel, Gucci, and Louis Vuitton. Most of these items were from the 80s and the 90s. They were also carefully curated by the owner of the store herself. Aside from its vibe, the store has also become more popular in recent years due to its location being considered as a photo spot. The Qoo Vintage main store is situated at Omotesando. However, it may also be launching a branch in Hong Kong. Due to the plethora of visitors that the store gets every day, their staff is multilingual to cater to several nationalities. They also offer pamphlets written in both English and Chinese. People who prefer cashless payments should know that Qoo Vintage accepts several major credit cards. The address of the store is Cinnamon oak 1F, 4-11-15, Jinguumae, Shibuya-ku, Tokyo, 150-0001. The station nearest to the store is Omotesando Station. One can take the Tokyo Metro Ginza Line, the Tokyo Metro Hanzomon Line, or the Tokyo Metro Chiyoda Line. Upon arriving in the station, simply take the A2 Exit. From there, it only takes 2 minutes by foot to reach Qoo Vintage. The store can be reached through its phone number 03-6804-2017. It also offers free Wi-Fi to its guests. The store opens every day at 12 PM and closes at 7 PM. It is open the whole year except on New Year’s Day. With vintage becoming popular again, the store has been welcoming more and more guests every year. This comes as no wonder, as the store has some of the cleanest, if not the best, array of vintage luxury bags. Even though these items are technically old, they certainly do not look like it. Even though there are numerous vintage stores all over Tokyo, Qoo Vintage is probably one of the best ones in the city. Because of its popularity, tourists actually fly in from all over the world seeking limited edition vintage pieces. However, probably the main stars of the store are items from Chanel. The owner of the store actually favors Chanel above all other designer brands for two reasons. The first reason is that the quality of Chanel items tends to stay great for a long period of time. Despite the age of the items, Chanel products typically have the best resell value. The second reason is the classic style of Chanel products, which makes it the favorite brand of Junna Mori, the owner of Qoo Vintage. Qoo10: An Online Store in Japan, Singapore, Malaysia, etc. Just add two digits at the end of the word “Qoo” and it is already something else altogether. Qoo10 is probably one of the biggest online stores in Japan. It has become one of the leading online marketplaces in Asia. Qoo10 offers a shopping experience that is convenient and secure for its customers. At present, Qoo10 has 7 online marketplaces that have been localized in 5 countries. These countries include Singapore, Indonesia, and Malaysia. 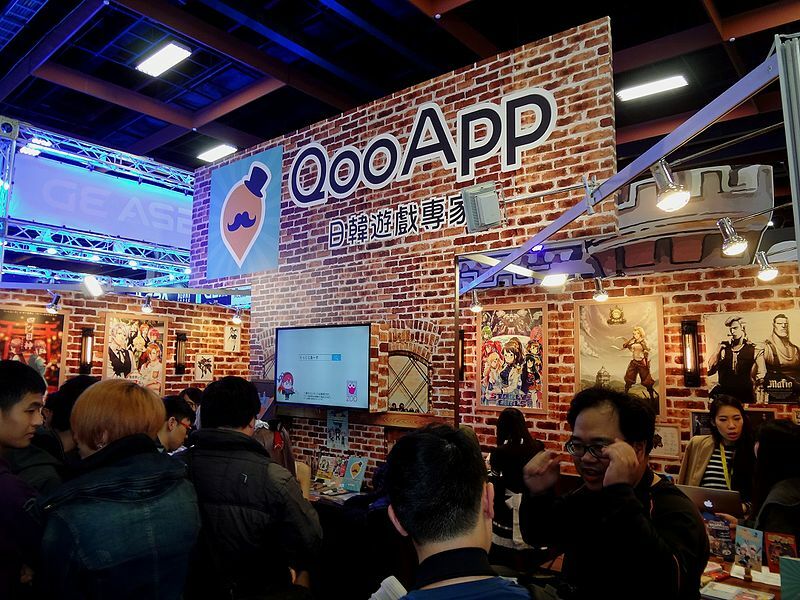 There are plans to expand the horizon of Qoo10 into more countries in Asia, as the economies in the said region develop. In Japan, Qoo10 is currently being operated by Geosys Godo Kaisha, which is under the Geosys Group. 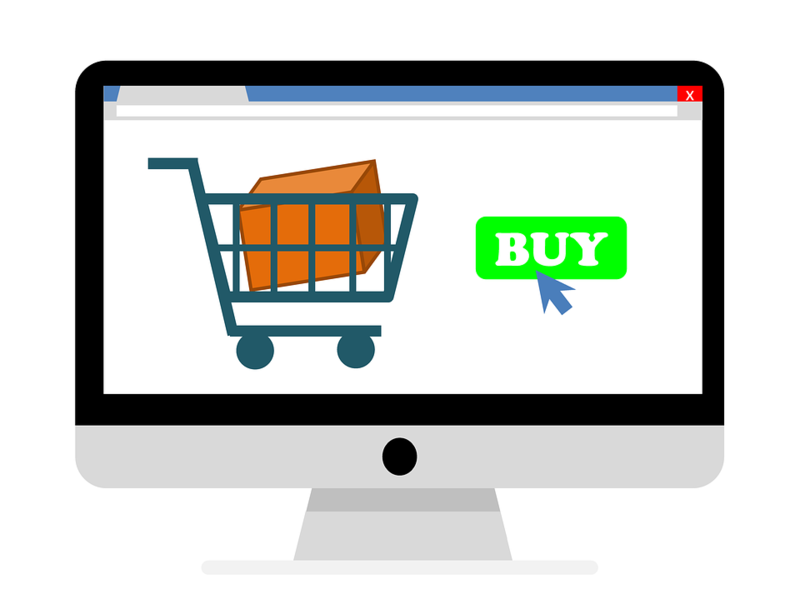 Not only does Qoo10 offer a secure and convenient experience, the online marketplace also consists of affordable products. Items in Qoo10 can come from local stores as well as foreign countries. It was in January, 2008 that Qoo10 opened its Japanese site. Just a few months later, it opened its Singaporean version in November. Just two years after the establishment of the Japanese site, a joint venture with eBay called “Japan Geosys LLC” was established in June, 2010. Following this establishment was the opening of two more sites, one in Malaysia and another in Indonesia, in April, 2011. The global site of Qoo10 was opened in January in 2012. At the time, the brand name was still called Gmarket. However, it was officially changed to Qoo10 in June of the same year. A month later, Qoo10 opened sites in China as well as Hong Kong. How its name “Qoo10” came to be? Basically, the letter “Q” stands for “Quest.” The two letters “oo” resemble the eyes, which means “to search.” the number “10” stands for perfection and completeness. Their goals in terms of service are called the 3Q services. The first Q stands for “Quest,” as the site is dedicated to meet the quest of the customers for fun as well as value. The second Q stands for “Quick,” as Qoo10 aims to provide quick and easy shopping services. The third Q stands for “Quality,” as the goal of the store is to ensure quality in the products it sells and the services it provides. Its Tokyo office is located at Shinagawa Crystal Square 9F, 1-6-41 Konan, Minato-Ku, Tokyo 108-0075, Japan. It can be reached by calling the number 050-5840-9100. On the other hand, the Singapore office is located at 5 Tampines Central 1 #04-04 Tampines Plaza Singapore 529541. As for Malaysia, their office is located GIOSIS SDN. BHD. (922056-M)(Incorporated in Malaysia) TB-13-2, Level 13, Tower B, Plaza 33, No. 1 Jalan Kemajuan, Seksyen 13, 46200 Petaling Jaya, Selangor Darul Ehsan, Malaysia. There are also other “Qoo’s” that a person can be referring to, though they may not be as popular. One of these Qoo’s is the Qoo Osaka Ebisucho. It is a hotel located in Osaka, Japan. The hotel holds several events throughout the year that guests can participate in. it is a great option to stay in while in Osaka. The goal of the hotel is to actually let their guests fully experience the Japanese culture. They would also like to make their visitors feel welcome and be a part of the community while they are traveling. The hotel has several social spaces on every floor that lets its guests mingle and get to know fellow travelers. Another Qoo is one that is located in Canada. It is a studio called Qoo Studio. It is a digital studio that aims to achieve the respect and approval of its clients. Their goal is to make the visions of their clients become a reality. They use a code-based software that allows their developers to constantly improve their output. Last but certainly not the least, another “Qoo” worth looking into is the Qoo gaming app. This online application is quite popular in Japan. Simply download the app online and one can also choose from a plethora of fun games worth checking out. This is best for people who are looking to pass the time or just looking for some fun. It is easy to download and one can already have a lot of options when it comes to games. While there are certainly several “Qoo’s” that were discussed, each “Qoo” can accommodate or please a certain type of person. Most of these “Qoo’s” can be found in Japan, such as the juice drink as well as the vintage store. They are just among the many reasons why visiting Japan at least once in a person’s lifetime is highly recommended. Should one happen to visit Japan, definitely check out the different “Qoo’s” that the country has to offer.